Few things are as much fun as creating the coolest and most perfect nursery that will serve as a heaven for your bundle of joy. 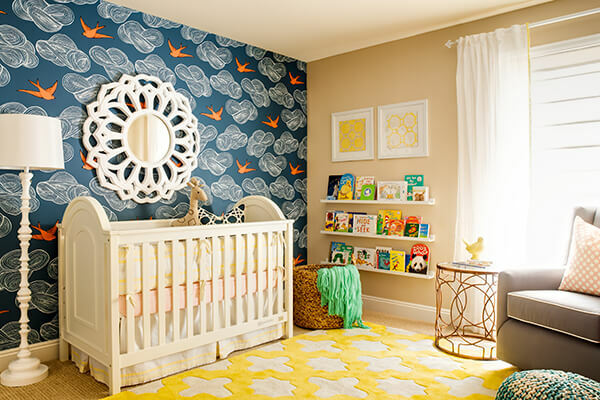 Now, when it comes to decorating, there are so many ideas that it can be overwhelming and you might not know where to begin and this is what we are here to help you with, to make a decision on the most interesting décor ideas for your baby’s nursery. If you would like to stay clear of the pinks and blues, you can go subdues neutral palettes with shades like gray, taupe or ivory. You will have an opportunity to layer with other color combinations. A pop of bright color here and there works very well with neutral colors and so does paired pastels. A pale color will represent a serene, calm environment and the best part is they are gender neutral as well. You can add more style with layers of textures and accessories. You can select streamlines furniture for the nursery for optical space. Get low profile and multifunctional furniture to save on space and make the room seem a lot bigger. 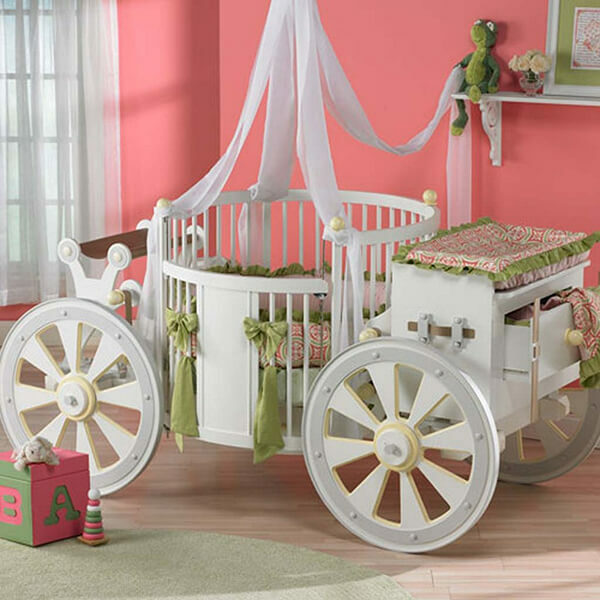 You should leave as much space as possible at the center of the nursery, which will leave space for a play mat and a rocking chair. 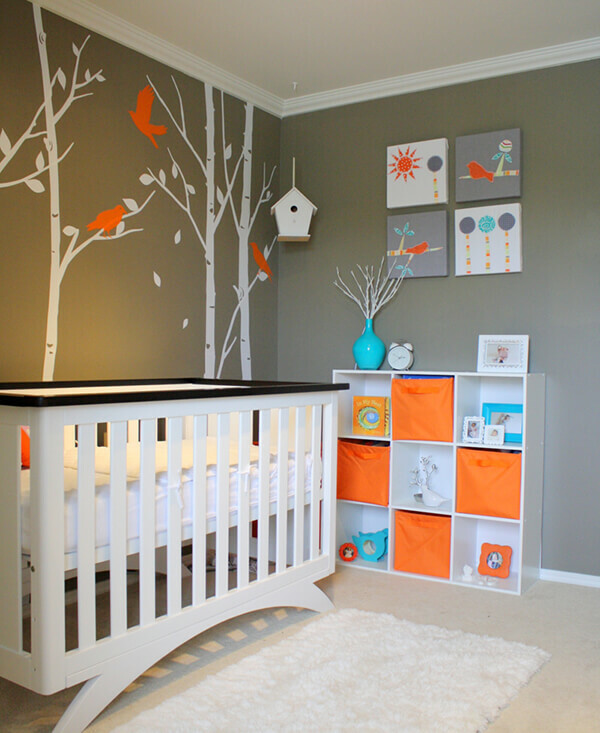 This is really the designs you as an adult will completely love because to be honest, the baby will not really care for the stripes or the trees on the wall. Since you as the parent will be spending a lot of time in there, you need to be at least content with what you create and actually love the way it looks like. Chevron patterns are especially great for both baby and parent. 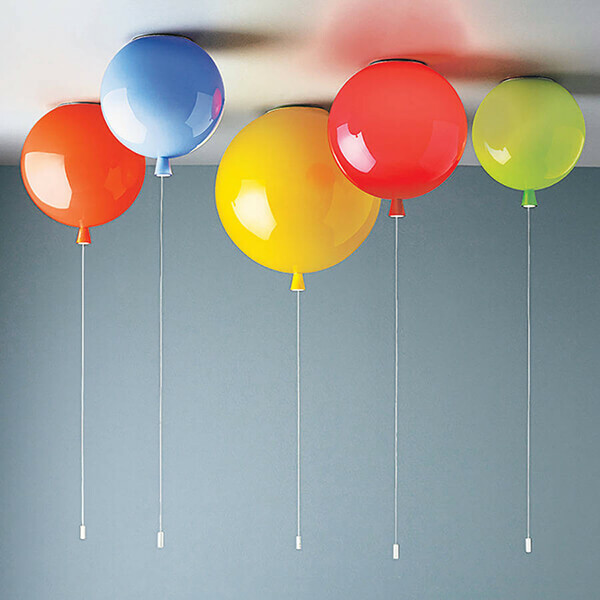 Get a standout ceiling fixture and it will not only be brilliant, it will be simple and modern. Look for lighting that flows with the nursery décor. If you have modern furniture you can use wood or brass fixture and if the theme if neutral, you should go with something that pops brightly or shiny. Regardless of the light, make sure to install a dimmer. You do not need all the toys gifts you got in the nursery so be selective on what you choose to display. 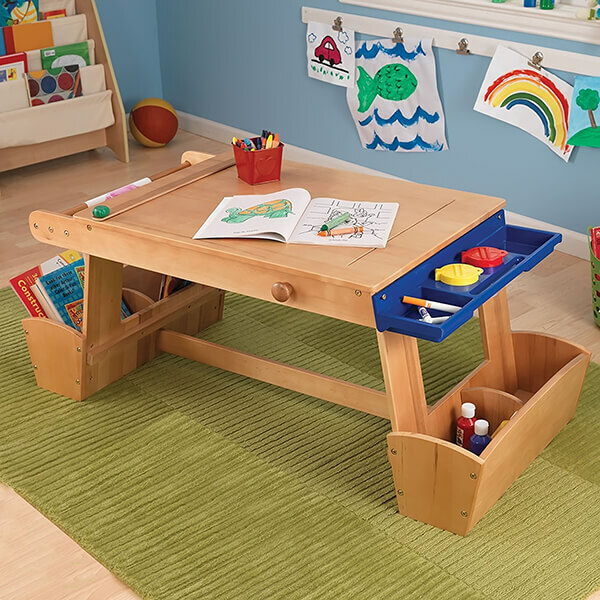 Curate the toys, books etc by arranging say for example wooden toys together for a vintage look. Group the items with color or great combos to create style and appeal. Ensure your furniture serves double purposes as storage. Creating dedicate area for doodling, plush toys and baby mobiles. One of the most educative endeavors that a child can start is the doodling, sketching, drawing, make sure you have everything he might need at your disposal, as these means of expression can greatly emphasize his cognitive, social and physical development naturally, nourishing the fruit of his imagination in the process. During crib selection, there are numerous designs you can pick from. Something oval is completely modern uniquely different. Get a crib that will turn to a bed once the baby outgrows it. Soft pastels are not the best for your baby’s growing vision and according to experts, black and white are the best colors that send the strongest signals to the baby retina. Of course black and white are not the only ones, you can use any bold color and you can use graphic patterns. You already know the importance of contrast and the baby will be looking at the ceiling constantly. Make sure a sky filled by stars is there or at the very least, a baby mobile that he simply adores. Baby’s like to be rocked and adults love the soothing effect as well so get a hanging chair instead and be by his side as much as possible. Timeless memories will be forged. What do you think? We would love to hear your ideas in the comment section below!